For the most part, I felt Chabon pulled this all off beautifully. The dialogue rings true without going overboard. (I love the detail that Nat, the white half of the equation, loathes other white people who try to “sound black.”) All of the characters feel fully realized, their backgrounds idiosyncratic and often heartbreaking. The book eventually becomes a riff on blaxploitation movies — because the black half of the partnership, Archy, has a deadbeat dad who’s a former star of the genre — and Quentin Tarantino’s riffs on blaxploitation movies in a way that’s fun and insightful at the same time. A few weeks ago, a fellow teacher of mine at Gotham Writers’ Workshops posted a message to our mailing list about a former student who’d told him of a strange experience in another writing program: A professor had told her — almost ordered her, it sounded like — to stop writing a story she was working on in which she had a Native American character. She’d acknowledged the risks of a white woman writing about a Native American, and had consulted experts on the topic to help her with her depiction. She was not, according to my fellow teacher, writing the literary equivalent of the Cleveland Indians’ mascot or anything near that. The question: whether this professor was out of line in telling the student that, essentially, she could never write about anyone of another racial group. I understand the concern. 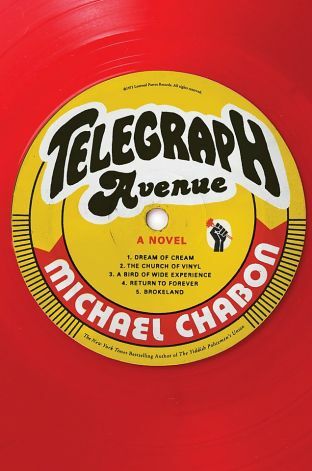 I felt it when I first picked up Telegraph Avenue, even though there’s no writer I trust more than Chabon. But I soon lost myself in the story, and forgot to think much about who was telling it. Archy and the other characters of color never felt fake or pandering or the least bit disrespectful. They simply felt like people whose problems I’d come to care about through their stories. Yes, we need to also continue to find authors of every color, background, gender, and sexual orientation to bring their own perspectives to our literary canon. Let’s not just let white men tell all of our stories for us and leave it at that. But part of writing fiction is understanding the lives of others, putting yourself into their skins and brains and coming out with empathy. We need more of that, not less. I prefer white male writers who care enough to include strong depictions of non-white people and women. Otherwise, it’s back to Norman Mailer for us all.